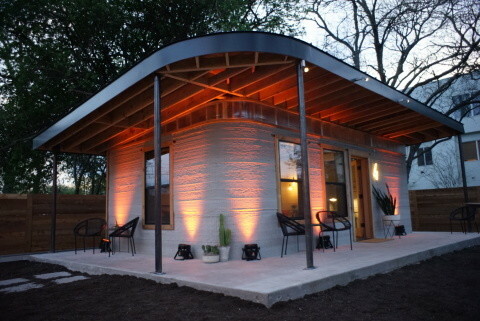 The first permitted, 3D-printed home created specifically for the developing world was unveiled today in Austin, Texas by New Story, the non-profit working to create a world where no human being lives in survival mode, and ICON, the newly launched construction technologies company leading the way into the future of homebuilding by using 3D printing to make major advancements in affordability, building performance, sustainability and customizability. The 3D-printed home serves as proof-of-concept for sustainable homebuilding that will allow for safer, more affordable homes for more families, faster than ever. The printer, called the Vulcan, is designed to work under the constraints that are common in places like Haiti and rural El Salvador where power can be unpredictable, potable water is not a guarantee and technical assistance is sparse. It’s designed to tackle housing shortages for vulnerable populations instead of building with profit motivation.